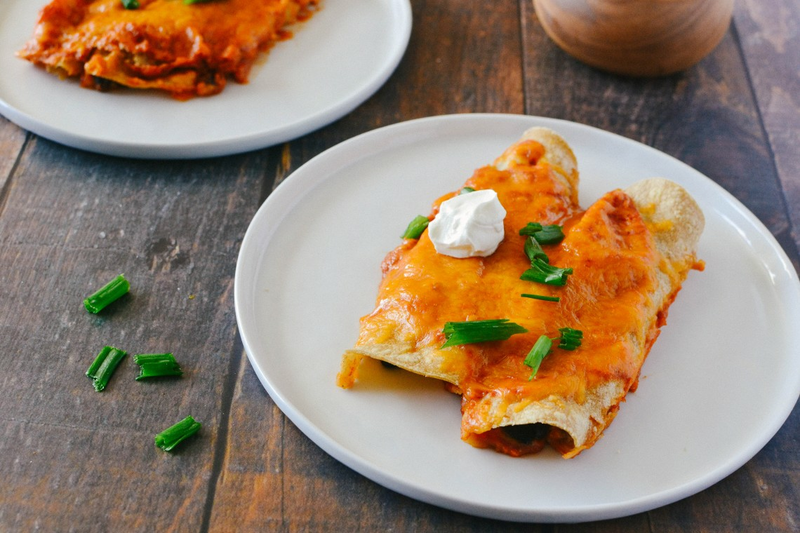 This recipe for vegetarian enchiladas delivers restaurant-quality flavor in the convenience of your own home. Corn tortillas are filled with black beans and cheese, then smothered with a homemade chipotle sauce and even more cheese. It's the adobo sauce from canned chipotles that give the enchiladas that deep, smoky flavor that's so good. Bake the dish in the oven until the cheese is melted and bubbly on top. These enchiladas are delicious and still pretty healthy for you. They're perfect for a weeknight dinner or casual party. Not a fan of black beans? No problem. Substitute pinto beans or refried beans. If you want to add vegetables to the filling, go right ahead. Spinach or corn kernels would be terrific in this dish. Or try it with mushrooms and caramelized onions. Per Serving: 853 calories; 23g fat; 116.3g carbohydrates; 49g protein; 55mg cholesterol; 2748mg sodium. These enchiladas were really good. I usually only eat green sauce but really enjoyed this red sauce too. The chipotle flavors are fantastic. Delicious enchiladas, great sauce, and kid friendly. Not too spicy at all. I could literally eat these all day. If you want, you can even add some shredded chicken or pork to the mix. 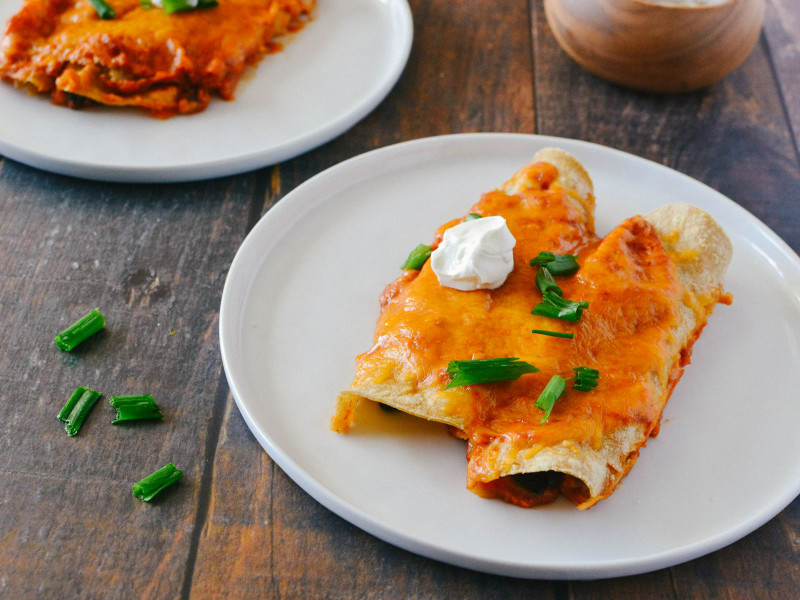 Delicious vegetarian enchiladas! The sauce wasn't too spicy, and tastes like authentic red enchilada sauce. This is enough to feed up to four people, unless you're greedy like me! My sister and I ate all of it together. Can't wait to make these again. These felt a little dry to me but an easy fix was to add salsa and guacamole. I also added extra sauce enchilada sauce. Love the vegetarian take, not bad for meatless Monday.